Trout's contract will supersede the remaining two years of his existing contract and keep the 27-year-old in Anaheim until 2030. Los Angeles Angels center fielder Mike Trout is close to finalizing a more than $430 million, 12-year contract — the largest in U.S. professional sports history — a person familiar with the negotiations told The Associated Press. The reported $432 million deal comes weeks after Bryce Harper agreed to a record-breaking, 13-year $330 million deal with the Philadelphia Phillies and surpasses the record once held by Arizona Diamondbacks Zack Greinke, who signed a six-year contract that nets him $34,416,667 a year. Trout's contract, which will supersede the remaining two years of his existing contract and keep the 27-year-old in Anaheim until 2030, will score him $35,830,000 a year. 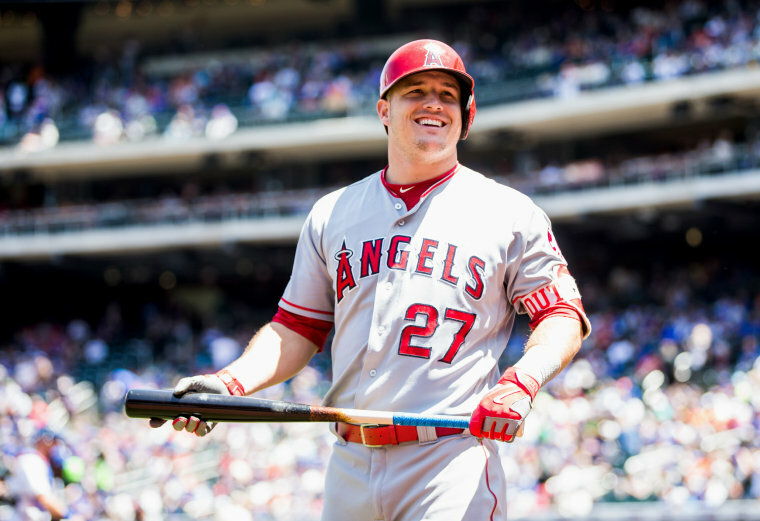 Trout's former six-year contract was for $144.5 million. The coming agreement was first reported by ESPN. The person who disclosed the deal to the AP did so on the condition of anonymity because it wasn't finalized and had not yet been announced. The New Jersey Native was a first-round draft pick by the Angels in 2009. He is a two-time American League MVP award winner. Oklahoma City Thunder player Russell Westbrook's contract is the largest in the NBA at $206,794,070, according to spotrac.com. Matt Ryan, with the Atlanta Falcons, signed the largest NFL contract at $150,000,000. And Alex Ovechkin's contract with the Washington Capitals is the largest in the NHL at $124,000,000.